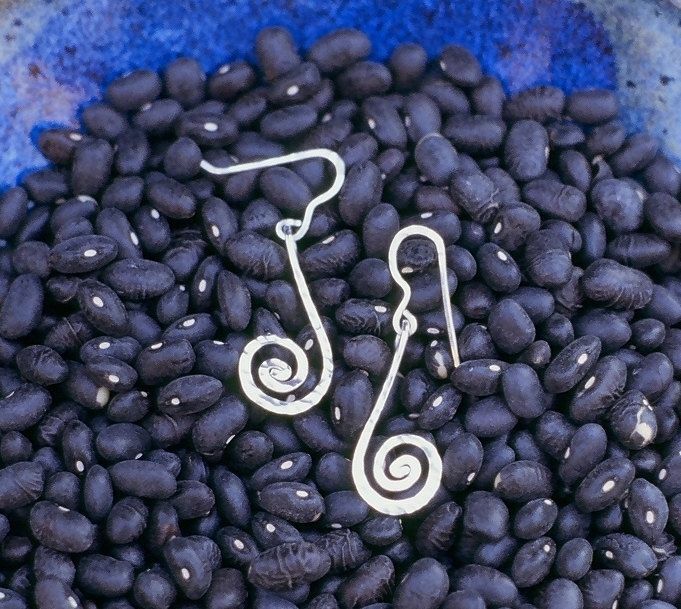 This pair of open spiral earrings is made of hammered sterling silver wire. Each is about an inch long and a half inch wide. These dangling earrings can be matched with most of our silver necklaces.